I have been sitting here with this page open for over half an hour. I have so much to update you on and no idea what to say! SAD!!! I guess I should start by saying that I’m definitely pregnant. I went to the clinic on base yesterday to have the blood pregnancy test. I got the call this morning that it came back positive. The game plan now is to do a walk in appointment. During this appointment I will see one of two available nurses. They will basically confirm it’s me. Tell me what to expect during this process and then begin the referral process. Once they give me the referral I should be able to pick a doctor off base (there are no on base OBGYNs here in Del Rio) then schedule my first appointment. I won’t lie. I want the appointment today so I can find out for sure how far along I am but it will probably take a few weeks for me to get in to see a new doctor. I’ll let you know when I have any more new information. Ryan and I are still in shock. We had no help… we’ve only been here for a few months and we just found out three days ago that my records are even here. I haven’t even had my first check up! I went off to Phoenix for my short visit with suspicions but no real clue. I took a test before I left because I was late… It was negative so I just chalked it up to my old messed up self and blew it off. My nephew was born and I attended feeling tired but just fine… I started going out with people trying to get my visits in before I left the valley since I had missed so much time down and out… And then the last straw. I went out to dinner with my friend Lynne. We went to the Olive Garden… I ate all of my soup and the bread sticks and then the actual meal came. One taste and I almost puked. I couldn’t even handle the smell. I had them box it up right away. I gave it to my sister because I couldn’t even handle the smell of it in my fridge. That started me thinking that I needed to test because I hadn’t been “sick” for over a week. I ran to the grocery store and picked up a cheapie and decided that I would test next morning. I woke up the next morning and tested… It came up obviously positive in under a minute. I sat there staring at it. In absolute shock! I was getting ready to have breakfast with my best friend Emily and so I just kept getting ready… I didn’t know what else to do. LOL On the drive to the restaurant I had to call poor Ryan. Ideally you think of all the cute ways you want to tell your husband… the witty things you want to say… Nope… not me! I just blurted it out. I could recount the rest of the conversation for you but it’s kind of boring. 🙂 A whole lot of uh and oh and wow made up the rest of it. So, at the moment I’m gleefully suffering all the not so fun parts of pregnancy. I’m sick as a dog… morning sickness that lasts all day long and I’m exhausted all the time! I have a ton of food aversions and not a single craving… nothing actually sounds good at all so I’m just doing my best to not let myself get hungry by grazing on whatever doesn’t sound awful at the time… and I’m sleeping… a lot! My favorite food aversions so far? Chocolate… same story… more sad. So… that’s about it for me! I need to get a move on… I need to put on some dinner (French Onion soup sounds good today) and then get ready to go to the walk in clinic. Hope I can make it in time or else I’ll have to wait until tomorrow. I’ll let you know when I have an update! I had to call Chad at work, too! hahaI puked from week 6 to week12. Everyday, all day. Ugh! oh how exciting that your experiencing all the pregnancy symptoms…hoping that means baby is doing well! So happy for you! so excited for you…i almost cant wait until we hear how far along you are and how the baby is! I know the sickness is annoying ( it started at 6 wks for me, and now being almost 37 weeks pregnant Im still sick, lol) but you of course know it means all good things 🙂 I had to tell my husband over the phone as well. I was just so shocked I couldnt believe it, or wait until he got home the following week to tell him. Im SOO sOOO SOOOO happy for you 🙂 Hope you get into the doctor soo, I cant wait to get more details about how far along you are and how the baby is doing! Yay—a post with all the “dirt”. I’m so thrilled your sick Courtney. I mean, I remember throwing up all the time and it was AWEFUL but at the same time. . .it should mean that progesterone levels are really good for you! Oh, I wish I could pull strings to get you an U/S right this minute so you can see that baby!!! !I love you! I’m with Mel, I’m so excited you’re sick. I know that sounds so horrible, but we’ve all been wishing and hoping and praying for this day and it’s here!! I am ecstatic and just over the moon for you and Ryan!Praying you get in to see an ob soon and get some answers. Love you! I’m so glad your sick! 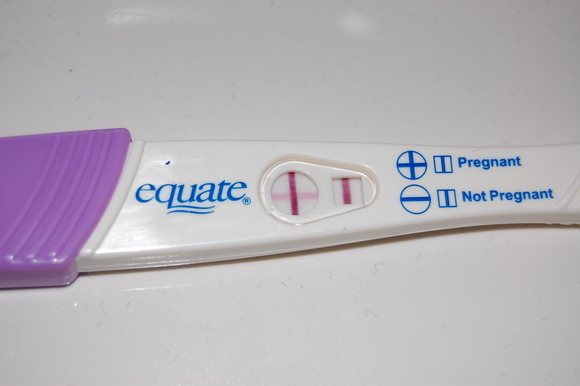 I’m so glad you got a positive result on your pregnancy test! Mine came back negative and like a week later I miscarried so I was told I don’t have a high hormone level so yay for me one day! lol. If you don’t mind me asking… How far along have your previous pregnancies been? Did you get sick or have any symptoms? I’m so happy for you! I am about to cry I’m so happy! YAY for the sickies!!! Were you sick with your other pregnancies?My last one coffee made me want to puke…and I love me some coffee!!! I cant even describe how excited I am for you! PTL! Love you sweet friend! I’m so happy for you!!! I’m very very very curious to know how far along you are. I know, not as curious as you are…but very curious. Being completely exhausted and all day nausea lasted until week 13-14 for me but then subsided. I hope it lasts just long enough then quits for you to get some relief. Suffering in joy. Still so happy for you guys and still praying.Let me know if I can do anything for you. I’m still in shock for you….this is such BIG EXCITING WONDERFUL news! It’s the best kind of surprise. Praying for you girlie!